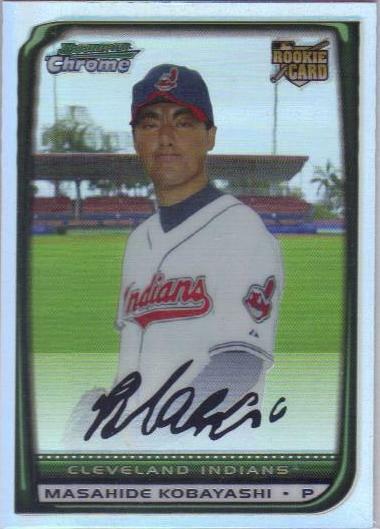 Indians Baseball Cards: Kevin's Kobayashi Kard! The other day, I got home to find a Bubbleope waiting for me. From within the package, I pulled out an awesome shiny green 2008 Bowman Chrome from Kevin M! Wahoo! This is one cool-looking card. The green POPS off the card in shiny goodness. Thanks for one sweet card, my friend! I'll be returning the favor soon!